I understand this came from upstream Gnome development - the upstream decision was quickly reversed, and tree view is back in version Nautilus 3.7.90 (available in the Gnome3 PPAs). Sadly, Canonical has chosen to bundle version 3.6.3. No tree view. You can look for it in the Preferences and in the config files. It isn't there. You may jump, as I did to dconf-tools, the Gnome settings editor. There's no key to edit. There is no tree view key anywhere. 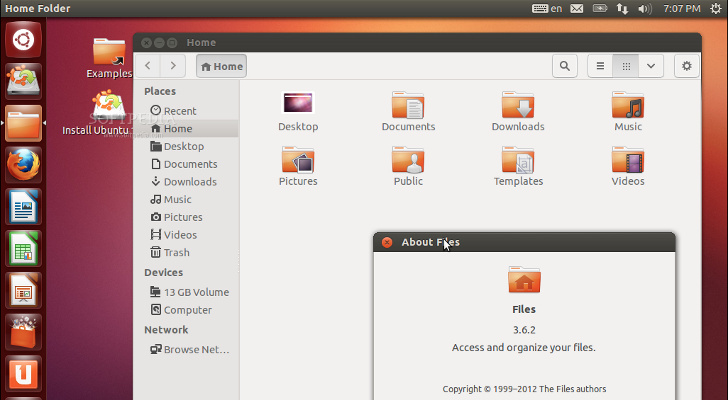 But the gsettings and the preference are only available in Nautilus 3.7 or higher. So how many folks are going to come to 13.04 and waste their time trying to find yet another feature that has been 'de-proved' out of existence? Is this just a versioning issue? Will we get it back or has Canonical decided that this is another feature that's too complicated for us simple-minded buffoons to use properly? Or has someone just take their eye off the ball? Sometimes it's hard to decide which is worse - ineptitude or willfulness? You could load other file managers such as Thunar, but they don't integrate as well into the Unity interface as Nautilus. Not a problem for me as I don't use Unity. I've tried again. It's horrid. holy CRAP this pissed me off. I'll be enabling the gnome 3 ppa's after dinner...might be helpful to add a "how to add gnome 3 ppa's" on the end of the article to help anyone who finds this (it was the number 1 article when i googled " tree view file manager ubuntu 13.04"